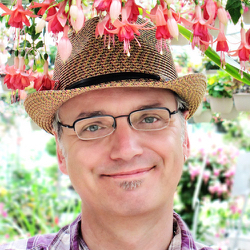 What do the great earthquake of San Francisco and fuchsias have in common? Why Alice Eastwood, of course. In case you somehow don’t already know her, you should! Eastwood was the pioneering botanist who spent the whole of her long career at the California Academy of Sciences in San Francisco. Born in Toronto in 1859, she moved with her family to Denver, Colorado where she attended the Shawa Convent Catholic High School. She then taught there for the next ten years after her graduation, foregoing college. Amazingly, her early botany was self-taught. Using books such as Asa Gray's Manual of the Botany of the Northern United States and John M. Coulter's Manual of the Botany of the Rocky Mountain Region, she achieved such competence and knowledge in the field that she was asked to guide the celebrated botanist, Alfred Russel Wallace, one of the co-founders of evolutionary theory through natural selection with Charles Darwin, to the top of Grey’s Peak when he visited Denver in 1887. During another visit in 1890, her botanical collections came to the attention of acclaimed pioneer botanist, Mary Katherine “Kate” Brandegee, Curator of the Botany Department at the California Academy of Sciences. Bandegee was so impressed by Eastwood’s work that she invited the young botanist to come to San Francisco to study. Brandegee must have recognized a kindred spirit. When she married Townshend Brandegee in 1889, the newly-wed couple walked from San Diego to San Francisco collecting plants on their honeymoon. 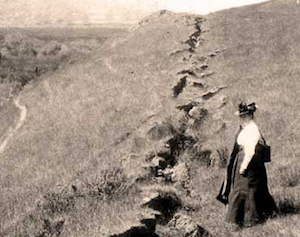 In 1891, Eastwood did just that before returning to Denver with the intention of devoting herself to he flora of Colorado and the deserts of Utah. In 1892, however, she instead came back San Francisco and assumed a post in the Academy’s herbarium. Brandegee would take a cut in her own pay to take her on. Eastwood was quickly promoted to a position as joint Curator of the Academy with Brandegee. By 1894, on the resignation of Brandegee from the Academy to move to San Diego, Eastwood was to become procurator and head of the Department of Botany, a position she held until she retired on her ninetieth birthday in 1949. The earthquake? 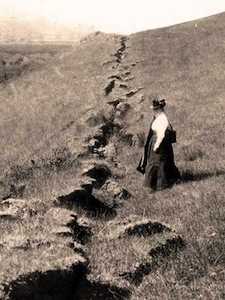 Ignoring the destruction of her own home, and loss of most of her possessions, Eastwood heroically saved the Academy's type plant collection from destruction by the spreading fires consuming the heart of the city after the massive earthquake hit San Francisco in the early morning of April 18, 1906. Cleverly, she had gone against current practices and segregated the type specimens in the herbarium from the main collection. 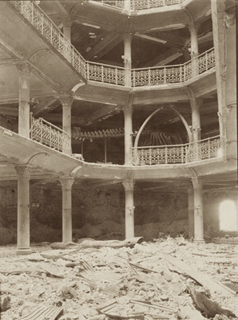 After the shaking, she rushed to the Academy building then on Market Street, where a small group of its curators and assistants had assembled, only to find the stairway in the central court partially collapsed. Using ropes, Eastwood and a helper quickly lowered as much of the herbarium’s contents as they could before the spreading fires cut short the full rescue of the rest. While much was lost, her unconventional organizational system enabled her to retrieve almost fifteen hundred of the invaluable and irreplaceable type specimens from the building in short-enough time to take them to safety. She also managed to save the early records of the museum. The museum’s library and most of its natural history collections would be destroyed in the fires, however. After the devastating earthquake, the Academy constructed a new building in Golden Gate Park. Eastwood spent that time traveling in Europe and the United States to study at herbaria, including the Gray Herbarium at Harvard, the New York Botanical Garden, the British Museum, and the Royal Botanic Gardens at Kew. 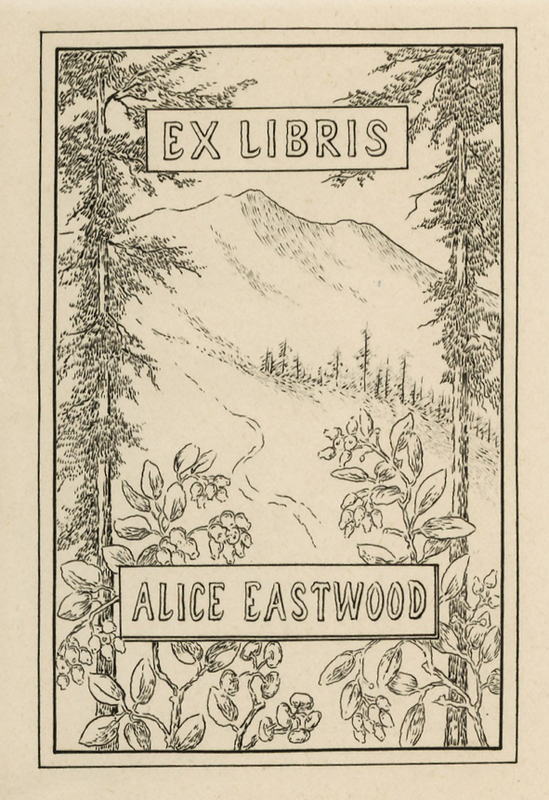 With the completion of the new building in 1912, Eastwood returned to San Francisco and began the arduous task of reconstructing the lost collections of the herbarium and rebuilding its library. Eastwood took on the reconstruction with her usual boundless enthusiasm and physical energy. 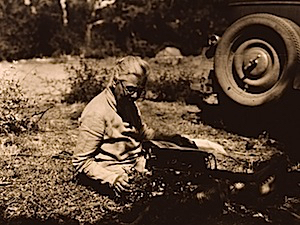 She went on numerous collecting vacations, financed from her own pocket, in the Western United States to visit Alaska, Arizona, Idaho and Utah. From her visits, she kept the first sets of the thousands of sheets of western flora she collected for the Academy and exchanged her duplicates with other institutions. 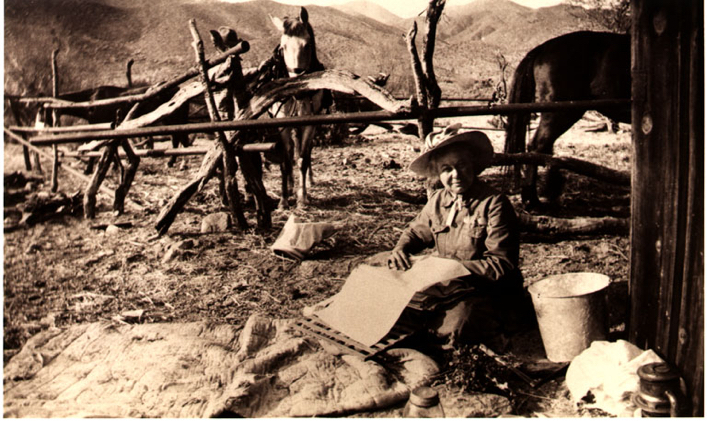 By 1942 she had rebuilt the Academy’s herbarium to about 340,000 specimens, nearly three times the number destroyed in the devastation of 1906. Leaflets of Western Botany, with John Thomas Howell (published by them from 1932–1949 and the Howell alone until 1966). Eight plant species are named for her. Eastwood was director of the San Francisco Botanical Club for several years in the 1890s. Then there were the fuchsias. 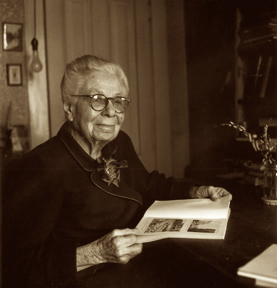 Among her many, many achievements in botany, Eastwood was one of the founding members of the American Fuchsia Society in 1929. She also was instrumental in holding the young Society together in its early years as a number of its original eleven members fell away. 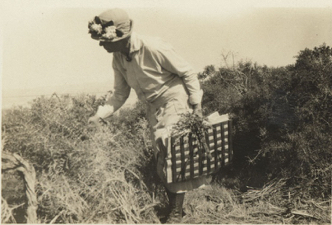 For the quickly undertaken census of fuchsias growing in gardens and nurseries in California, she instructed society members and others on how to properly take and mount specimens to send to her at the Academy. In 1931, she published "True Species of Fuchsia Cultivated in California" (National Horticultural Magazine, 10:2:100-104). In recognition of her contributions, the American Fuchsia Society honored her with its Medal of Achievement in 1949. The hybrid, 'Alice Eastwood,' was also named for her by Hazard & Hazard in 1929. 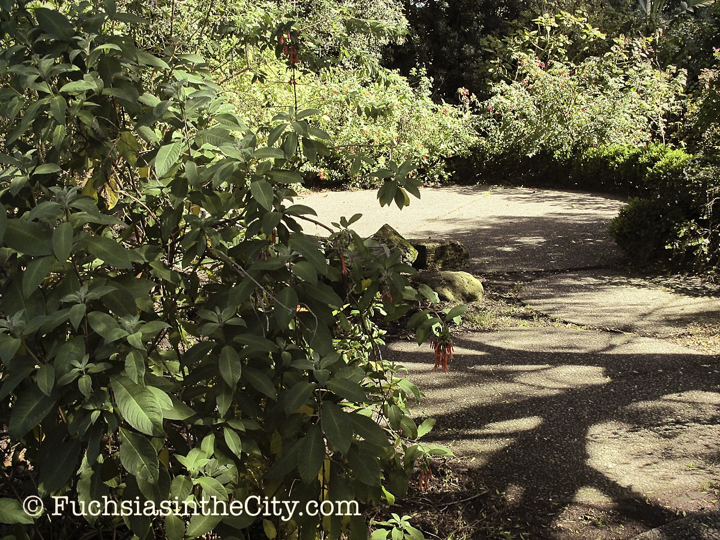 The Fuchsia Dell in Golden Gate Park was established in 1940 with fuchsias that seem to have been recycled from those used extensively at the 1939 Golden Gate International Exposition. Originally called the Golden Gate Fuchsia Grove, there are indications that the plantings in the Dell were actually at the urging of Eastwood. Despite most of a lifetime spent in San Francisco, and her decades-long dedication to that city and the native plants of California and the West, the pioneering Eastwood was oddly to be buried In Toronto after her death in 1953. She now rests under a simple, nondescript flat marker in ➤ Toronto's Necropolis, in a city that she had left behind at the age of fourteen. 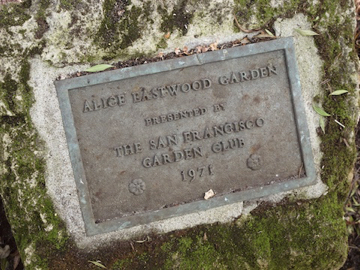 The San Francisco Botanical Garden, however, does have the Alice Eastwood Garden established there in her honor by the San Francisco Garden Club in 1971. She was an early president and life-long member of the organization and the garden is appropriately planted with fuchsias. Its bronze marker seems more suited to the spirit of her life, even if it doesn't cover her actual remains. Unfortunately the Eastwood Garden is hidden away in an inside corner, behind the main entrance, and currently languishes from neglect and the encroachment of a nearby children's activity area. That’s too bad. Because this really is a memorial celebrating a remarkable woman that shouldn’t be tucked away in a corner, passed by and almost forgotten. Luckily, the Alice Eastwood Redwood Grove in Humboldt County, which she worked to save, also stands as a fitting and more public monument to the life and work of this remarkable botanist. 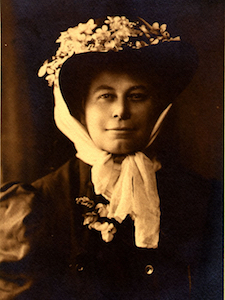 Alice Eastwood was born on January 19, 1859 and today marks the 157th anniversary of her birth. Happy Birthday, Alice Eastwood, either in your fuchsia garden or your redwood grove!